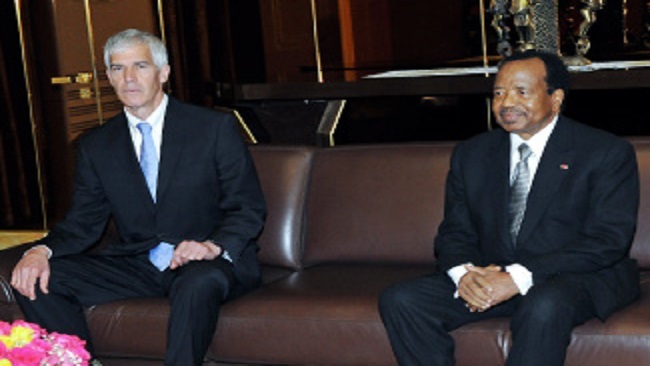 US dilemma: Allow Russian preponderance or partner with genocidal dictators like Biya? Allow Russia to do as they please in Africa or partner with African leaders with a history of war crimes and a tendency toward genocidal behavior? That is the conundrum American military and diplomatic leaders face. Cameroon, specifically, is one of the better examples of the struggle between geopolitics and human rights concerns. Nonetheless, General Waldhauser made clear that AFRICOM is concerned about numerous reports of war crimes and atrocities committed in the African nation. Both General Waldhauser and Ambassador Peter Henry Barlerin have confronted Cameroonian President Paul Biya about these allegations. Compounding their concerns, the Trump administration has decided to cut military aid to Cameroon. But developments in the African continent might mean that the U.S. doesn’t have many choices of partners and that it must make do with what is available. During the same briefing, General Waldhauser emphasized the threat stemming from Russia’s involvement in sub-Saharan Africa. Russia has been active in other African countries as well. Take for example Sudan. There, Russian private military companies (PMC) are helping the Sudanese dictator Omar al-Bashir to maintain power in the midst of popular upheaval. American troops in Cameroon are mostly concerned with training their Cameroonian partners in basic soldiering and counterterrorism skills. ‹ Battle For Ambazonia: 11 injured in ‘governor convoy attack’ in Southern Zone	› Life after power: Where is Minister Augustine Kontchou Koumegni now?